my pointless: "Johnny Sue-nami" keeping his record safe. What do The Queen of England, George W. Bush, the Eiffel Tower, Perez Hilton, Britney Sears, the Nazi party, the Roman Empire, Google, Plato, the Magna Carta, the Nordic gods, Emilo Estevez and the Guinness Book of World Records all have in common? Answer: They have all been sued by Jonathan Lee Riches. 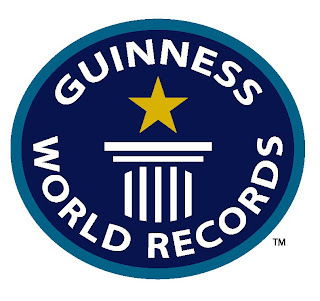 According to the upcoming issue of the Guinness Book of World Records, Jonathan is the record holder for being the person who has filed the most lawsuits-- over 4000 of them. The book refers to him as "Sue-per-man, "the duke of lawsuits" and "Johnny Sue-nami." The people at Guinness should have seen it coming-- this week, Jonathan filed a lawsuit against them, seeking to stop publication of the 2010 edition. Jonathan claims that the Book of World Records has no business publishing his "legal masterpieces." Jonathan is currently a (prisoner) resident of the Federal Medical Center in Lexington, KY where he is being incarcerated for wire fraud. legal disclaimer: this article in no way intends to accuse Mr. Jonathan Riches of anything peculiar. I think Mr. Riches must be a great guy. I am sure that every one of his lawsuits was completely justified. Please, Mr. Riches sir, if you ever read this, don't add me to the list of 4000. Can I just point out there is NO queen of England. There is a (needless) queen of the UNITED KINGDOM of GREAT BRITAIN and NORTHERN IRELAND however. Britain is NOT England, in spite of the inherent English racism that likes to think it is.